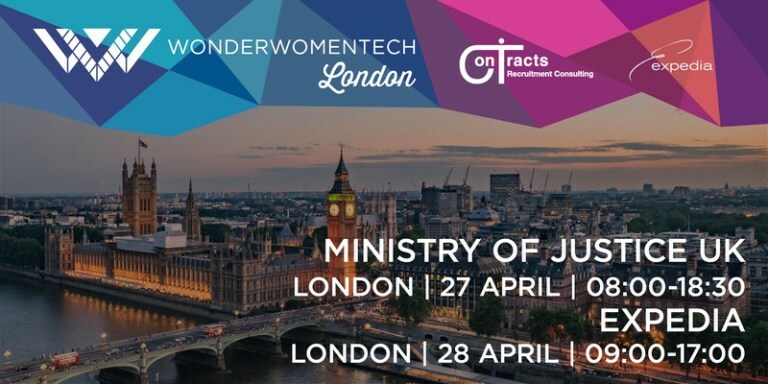 Wonder Women Tech held April 27 to April 28 in London brought together hundreds of global professionals from a variety of sectors interested in a shift towards greater diversity and inclusion. With partners such as the Ministry of Justice, Contracts Recruiting, Expedia, Google and many other corporations, the two-day conference’s mission was to highlight, educate and celebrate women and diversity in STEAM (Science, Technology, Engineering, Arts, Maths). Through more than thirty sessions including panel discussions, hands-on workshops and keynote speakers, the content was focused on empowering change on an individual and collective level. “Diverse companies are more than 70% more likely to enter new markets, “stated Ruth McKernan, Chief Executive of Innovate UK, during her presentation entitled “Bringing Women In Innovation Into Focus” demonstrating the economic importance of inclusion. In addition, relevant topics such as supporting education and careers in STEAM for women and minorities, adaptive technologies and creating positive work environments were discussed. For more information about Wonder Women in Tech, visit: https://wonderwomentech.com/london.